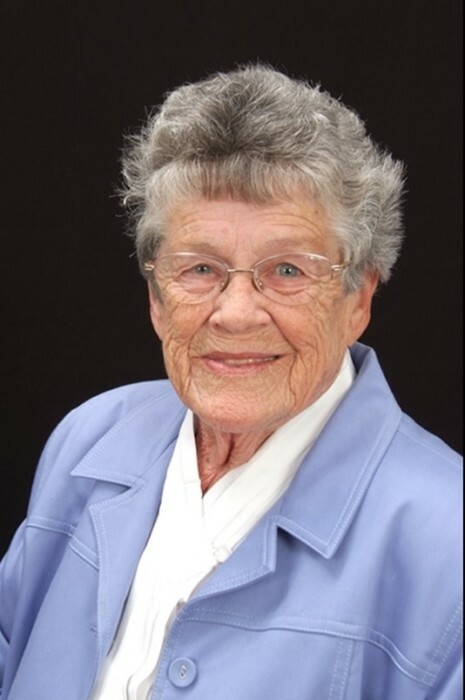 Betty Jane "BJ" Fox, went home to heaven on April 1, 2019 at Hillside Nursing Home in Wake Forest, NC, surrounded by family. She was predeceased by her husband Charles Fox, her parents William and Henrietta Floyd and brothers William Floyd and Nelson Floyd. She was born in Camden NJ on Dec 1, 1926 and was raised on the Floyd farm in Hilltown Township, Bucks County PA. She drove school bus for over 20 years in the Warmininster, PA area where she lived for over 30 years. She is survived by: eight children, Carol Ann Chantelau and husband, David, McConnells, SC, Linda Jane Zarzecki and husband, Felix, of Wake Forest, NC, Nancy Lee Steskal and husband, David of Granite Falls, NC, Peggy Lou Williams and husband, John of Watsontown, PA, Molly Rae Ardinger and husband, Charles of Visilia, CA, Howard Pearson Loux III and wife, Jacque of Waldorf MD, Janet Kay Herzog and husband, Robert of Crouse, NC, Kenneth William Loux and wife, Dee, of Lincoln University, PA. She is also survived by three step-children, Lynne Fox Harper, of Chalfont, PA, Steven Fox and wife, Barbara, of Maple Shade NJ , Michael Fox and wife, Penny of Jasper TN. She has 24 grandchildren, 40 great-grandchildren with one on the way, 8 step grandchildren and 10 step great grandchildren. She also leaves behind many nieces and nephews, countless friends and her dog Lucy. She will be missed by many. Funeral services will be held June 22 at 10AM at Sunset Memorial Park 333 County Line Road, Feasterville, PA. In lieu of flowers donations can be made to Saving Grace Animals for Adoption - savinggracenc.org.